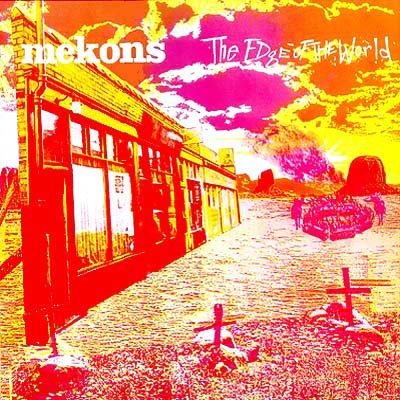 Notes: One of my all time favorite bands, The Mekons can don the guise of punk, rock, insurgent country, dub, spoken word, rant & roll, Tex-Mex swing among any other genre you can attempt to describe. Always interesting and never compelled to record for the sake of sales the band has kept the DIY spirit up to the present. This is a rollicking ride and you're all invited to come along. 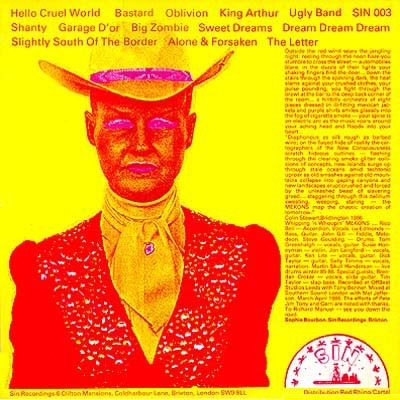 If you don't own any Mekons this is a good place to start. The guys/gal can also be found in the company of the Waco Brothers, Pine Valley Cosmonauts, Rico Bell and the Snake Handlers and various solo efforts. There are no notes pertaining to the cover art, but it's an eyecatcher all right.